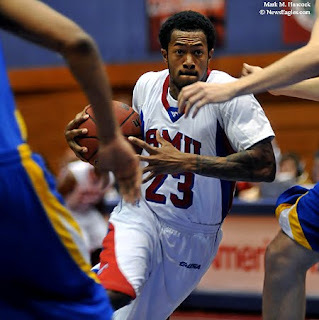 Southern Methodist University's Paul McCoy (23) drives into Tulsa's defense during a college basketball game at Moody Coliseum in Dallas on Wednesday, Jan. 13,2009. 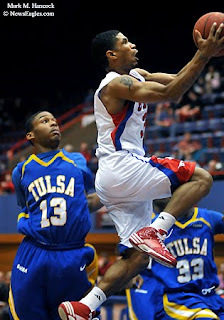 SMU's Derek Williams (3) leaps to the net past Tulsa's Donte Medder (13) during a college basketball game at Moody Coliseum. 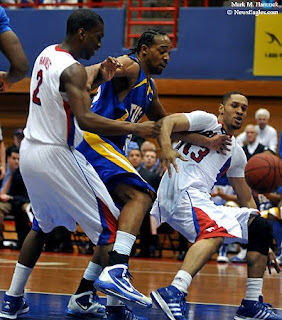 Tulsa's Bishop Wheatley (12) tries to control both SMU's Justin Haynes (2) and Frank Otis (13) during a basketball game in Dallas. 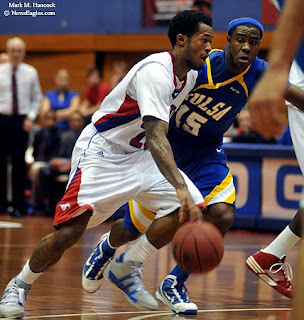 SMU's Paul McCoy (23) works his way around Tulsa's Justin Hurtt (15) during a basketball game at Moody Coliseum. 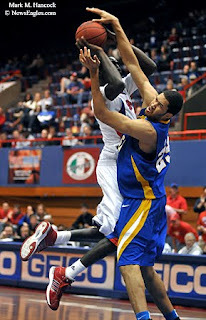 SMU's Mouhammad Faye (1) slams into Tulsa's Jerome Jordan (23) during a college basketball game at Moody Coliseum in Dallas. 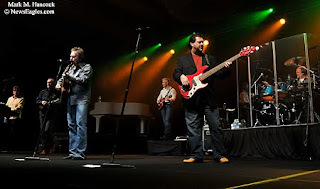 Diamond Rio performs in concert during the "Boots & Dazzle, Big D Style" at the Hilton Anatole Hotel in Dallas on Saturday, Jan. 16, 2009. 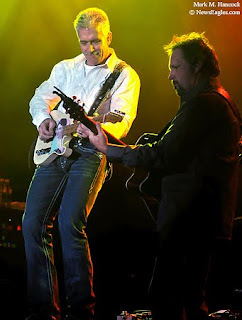 Jimmy Olander (left) and and Marty Roe (right) play guitars during a concert in Dallas. The country music group has received four Group of the Year awards from the Country Music Association, and 13 Grammy Award nominations. 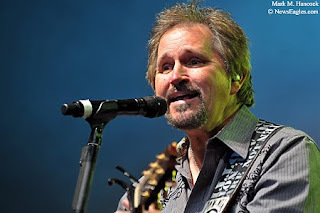 Marty Roe (right) of Diamond Rio sings during a concert at the Hilton Anatole Hotel. 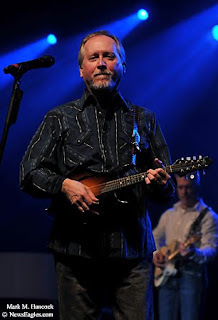 Diamond Rio's Gene Johnson plays mandolin during a concert in Dallas. 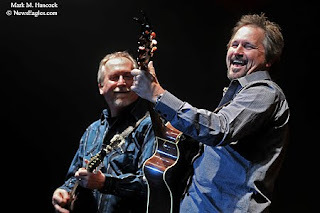 Gene Johnson (left) and Marty Roe (right) of Diamond Rio perform during a concert at the Hilton Anatole Hotel in Dallas. 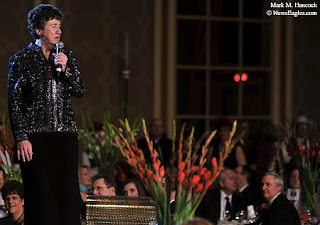 The concert and gala benefited the Catholic Charities of Dallas. 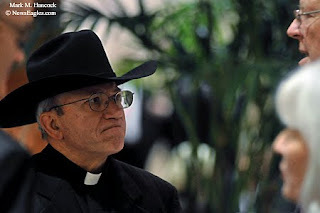 Please also see "Boots & Dazzle gala"
Msgr. Henry Petter of St. Elizabeth Ann Seton visits with guests during the "Boots & Dazzle, Big D Style" at the Hilton Anatole Hotel in Dallas on Saturday, Jan. 16, 2009. 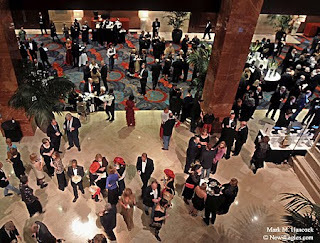 Guests mingle in the foyer during the "Boots & Dazzle, Big D Style" at the Hilton Anatole Hotel in Dallas. 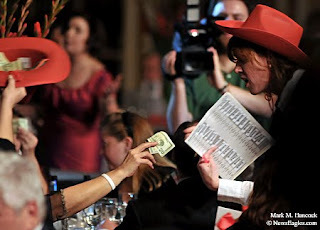 Guests participate in an instant fund-raising project during the "Boots & Dazzle, Big D Style." The gala benefited the Catholic Charities of Dallas. 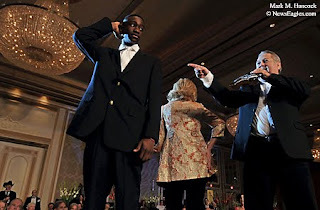 Auctioneer Dean McCurry (right) pronounces David Small of Dallas (left) as the winner of the "Heads or Tails" contest during the gala. 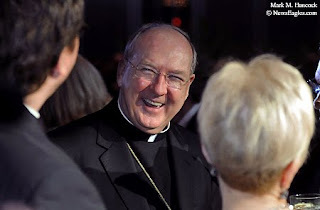 Bishop Kevin J. Farrell has a laugh during the "Boots & Dazzle, Big D Style" in Dallas. Sr. Mary Owens humbly thanks guests for their generosity during the "Boots & Dazzle, Big D Style" at the Hilton Anatole Hotel in Dallas. Please also see, "Diamond Rio concert." 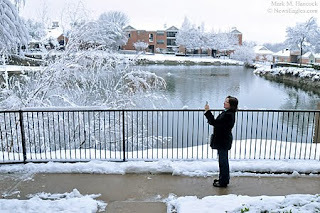 Fayrouz Hancock makes images with her BlackBerry near our home after the record-breaking snowstorm in Plano on Friday, Feb. 12, 2010. Fayrouz Hancock poses for a portrait near our home after the snowstorm. Dallas got more than a foot of snow in one 24-hour period and shattered all previous snowfall records. This is a clarity measurement used primarily with monitors. It's literally the number of linear pixels visible on a viewing screen. Digital camera file sizes are measured in pixel dimensions and megabytes of storage memory. This is a clarity measurement used primarily with home printers. It's literally how many dots of ink are placed along one linear line of paper. This is a clarity measurement used primarily with commercial presses. It's literally the number of etched lines packed into a single inch of a single printing screen (plate). While ppi is roughly comparable to some printers' dpi if the display size is set to the correct proportion, lpi isn't. In essence, it's the difference between a tattoo and needing a tourniquet. A tattoo is made of hundreds of tiny pin pricks on the skin. These can be seen as dots per inch. A single full-page lpi can be seen as an 11.5-inch cut from a razor. Imagine what 275 of these razor cuts within one inch would do. Then, multiply these cuts times four for the four plate screens involved on a cyan/magenta/yellow/black (CMYK) press. Next, place these razor cuts at the correct degree angles (15C, 45M, 0Y, 75K) to ensure coverage. Why do PJs need to know? Working PJs need to know this information to adjust to the needs of different clients. For example, books and magazines are frequently printed at 275 lpi or higher while newspapers are more likely published around 85 lpi. The required lpi is ultimately determined by paper quality and "dot gain" (ink bleed). Glossy (coated) paper has little dot gain and higher clarity. The ink on newsprint paper has serious dot gain and less clarity. When ink is absorbed in a wider circle by the paper, it needs a lower lpi to appear as a "full color" image. These differences mean PJs may need to adjust their capture quality sizes. For most newspaper gigs, it's acceptable to capture .jpg images at fine quality, but medium size (roughly 3M). However, anything larger than 1M after a crop works. For most magazine and book gigs, it's best to shoot RAW+.jpg at fine quality at the maximum file size (roughly 6M to 30M, depending on the camera). Most high-lpi publications seek images in a range higher than 5M (jpg). Dots and pixels per inch are close measurement approximations, but they're not exactly the same. Furthermore, most dedicated computer monitors are set at resolutions of 72ppi (low-res Windows) or 163ppi (iPhones). While images may appear clear on some monitors, they won't necessarily reproduce well. Most newspaper staffers use 200 ppi as a baseline measurement. However, for general PJ work, 400 ppi is a better working number. Depending on the actual use of the image, these ppi measurements approximate how large or small an image could be used on the printed page. For example images posted on this blog are set at 92ppi. At 92ppi, an average image may appear 3.565 inches tall or wide. However, at 400ppi, the same image is only 0.82 inches tall or wide. The size will appear larger on a low-resolution monitor, and tiny on a high-resolution monitor. Nothing changes except the resolution of the viewing monitor. As stated above, dpi (dots per inch) is a measurement of most home computer printers. In casual conversation, it's often (incorrectly) used as a substitute for ppi. Folks would like to imagine dpi is a universal "standard." It's not. Nobody could give a definitive answer for the size of a single dot because it varies between machines. It's deliberately vague. It's safest to work in ppi when referring to images. A single pixel is made of red, green and blue light in combinations of millions of colors. A dot is just a single-colored dot. Printers use LPI (lines per inch). This a far more detailed measurement because a million or even 10 million dots still don't technically fit into a solid line. Consequently, there is no real digital equivalent to press numbers. So, we use 400 ppi to approximate one lpi line because the dots become so small they appear to be a solid line. Please understand the press reproduces every defect down to a single pixel, dot or snigglefritzel. 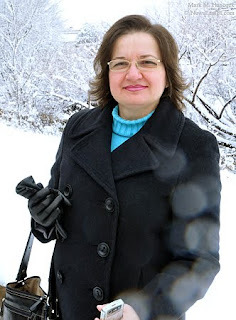 During the day, I'm a book Editor at a specialty publisher. At night and on weekends, I still shoot and write for newspapers and magazines. 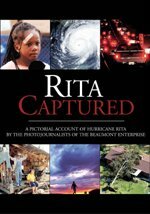 The book publisher requires authors submit 1M (megabyte) .JPGs images for quarter-page placement. Full-page images must be 5M .JPGs to approximately fit on the page at the correct proportions. Other format images - such as .TIF or .EPS - should be much larger. To get the approximate proportions for layout, we divide the image dimensions by 400 (ppi) for an inch count. Then, measure the placement box. For example, an image could be 2100 x 1575 pixels (683K). This means its maximum size is 5.25 x 3.9375 inches. It can’t be laid out to fit in a hole that is 11.25 x 8 inches because it's about half the size it should be. It’s too small. To make the example image fit a full-page, the layout program (InDesign) would stretch and degrade (interpolate) the images. When we fit the image to fill the full-page hole, it's 161.904 percent at 300 ppi (the lowest acceptable setting for the press). We can improve an image's resolution by sending the image through a software program to increase the file size with minimum degradation. The new file size would be 5.13Mb. If the original image had started as a 5.2Mb file, it would have been the correct size. Most software is capable of increasing file sizes. If it can be avoided, DON'T ARTIFICIALLY INCREASE FILE SIZES. Most programs "invent" pixels between other pixels. This is called interpolation. During interpolation, most software averages surrounding pixels and approximates a solid pixel of the average color. The average color between a red pixel and a blue pixel on a football uniform is magenta (bright pink). Magenta isn't exactly a "football color." If required, let the publisher increase file sizes because they'll have special programs to accomplish this with minimal damage to the original image. We use PhotoZoom Pro 3. It can be tweaked to increase resolution with minimal degradation of the original. It still degrades the image, but it's nowhere near as bad as "upsizing" through basic photo software. While the software is helpful, it isn't as good as a full-size original because it artificially increased the file size. It still invented "stuff between stuff," but it does so better than other software programs. If authors wanted to mail prints to our office, we can scan up to 9,600 ppi to ensure clarity. Otherwise, the software can handle minor "upsizes" if the images are clear. However, if the image was already degraded (via previous artificial increases or other software manipulations) before we got it, the program simply enlarges all previous problems. The program can be set to fill pixel gaps and smooth lines, but this only degrades the actual image more. In short, no program "improves" images by making them larger, artificial increases only degrade images. It's best to get the original capture medium (film, digital file, etc.) and work forward from there. Then, scan the original at the largest file size possible and run it in a location smaller than the actual file size. 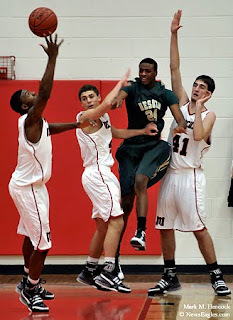 DeSoto's Antwan Space (24) has a pass intercepted by Flower Mound Marcus' Marcus Smart (3) as he's surrounded by Tomas Netsch (4) and Cory Needs (41) during a high school basketball game at Marcus High School in Flower Mound on Tuesday, Jan. 5, 2010. 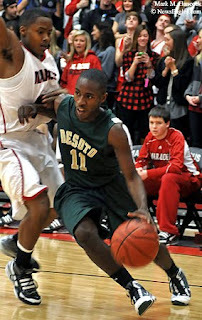 DeSoto's Derico Dandridge (11) works his way around Flower Mound Marcus' Chris Martin (31) during a basketball game. DeSoto is the defending 5A champion. Flower Mound is ranked 13th in the state. 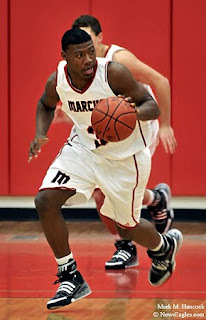 Flower Mound Marcus' Marcus Smart (3) intercepts the ball during a basketball game against DeSoto in Flower Mound. 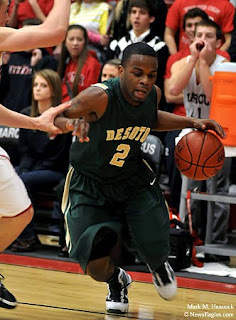 DeSoto's Deon Pleasant (2) works his way toward Flower Mound Marcus' hoop during a game at Marcus High School. 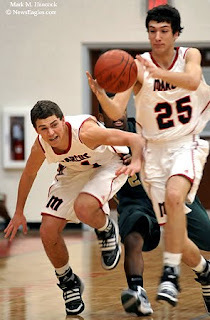 Flower Mound Marcus' Cameron Cline (25) steals a ball as Tomas Netch (4) and DeSoto's Deon Pleasant (2) recover during a high school basketball game at Marcus High School in Flower Mound. DeSoto won 44-42 by breaking a tie with 1.6 seconds left in the game. 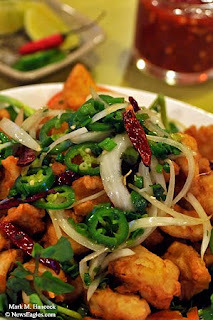 Bistro B offers Salt and Pepper Toasted Squid at the Vietnamese restaurant in Dallas on Saturday, Jan. 2, 2010. 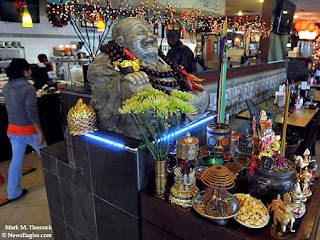 A happy Buddha statue greets guests at Bistro B restaurant. 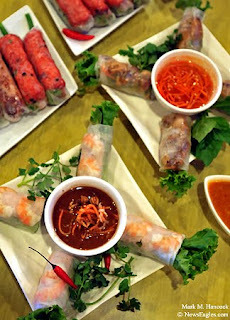 Bistro B offers various spring rolls at the restaurant in Dallas. 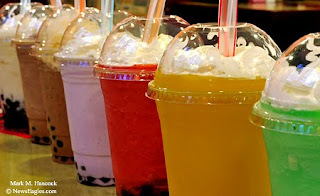 Bistro B offers many flavored smoothies with tapioca at the restaurant. 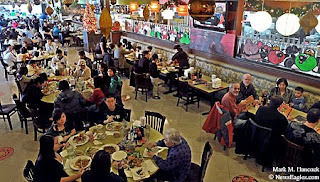 Multinational guests eat lunch at Bistro B restaurant. 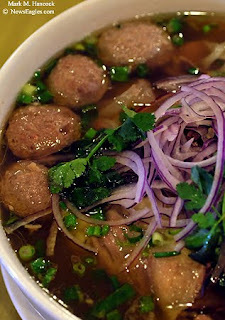 Bistro B offers Vietnamese Beef Noodle Soup at the restaurant in Dallas. 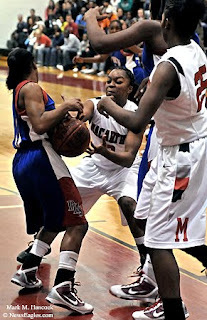 Duncanville's Akil Simpson (23) and MacArthur's Alexis Jones (30) scramble for a loose ball during a District 7-5A high school basketball game at MacArthur High School in Irving on Saturday, Jan. 2, 2010. Duncanville's Morgan Bolton (10) and MacArthur's Odyssey Sims (3) struggle for the ball during a basketball game at MacArthur High School. Duncanville's Akil Simpson (23) recovers a rebound as MacArthur's Monique Jackson (25) and Karmyn Jackson (34) try to recover it during a district basketball game. 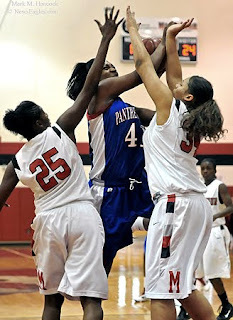 Duncanville's Bunny Williams (41) drives to the net and into MacArthur's Monique Jackson (25) and Karmyn Jackson (34) during a District 7-5A high school basketball game at MacArthur High School in Irving. 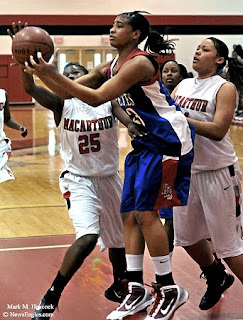 MacArthur won the game 69-56.